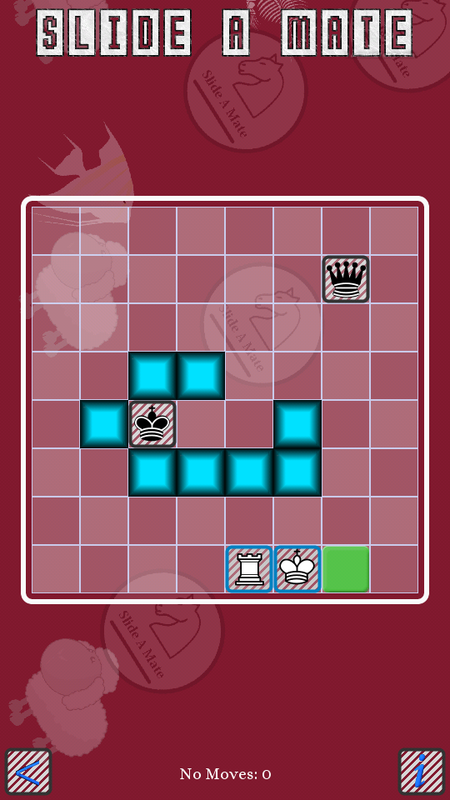 Slide A Mate is an ingenious chess puzzle sliding game. 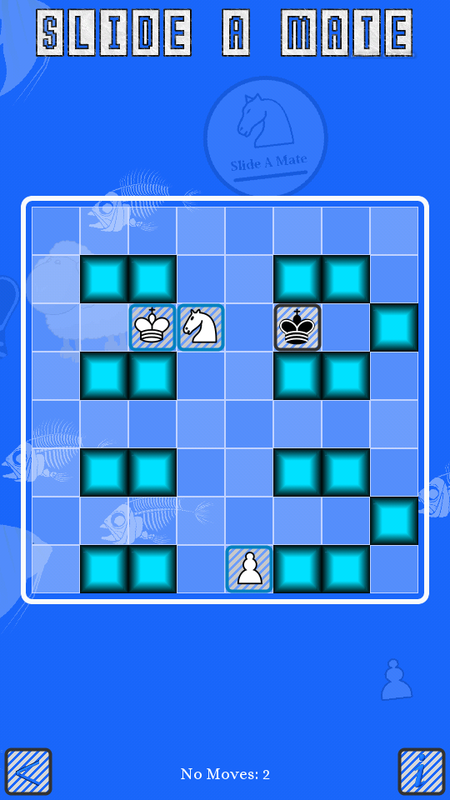 The aim of the game is to slide the white pieces in order to checkmate the Black King. The white pieces slide horizontally or vertically as in traditional sliding games but when they land the normal rules of chess apply (with white playing upwards). Black pieces cannot be moved. The green pieces are helper pieces. You can move these to help your white pieces reach their desired destination square, or simply use them to block off squares the Black King can move to. 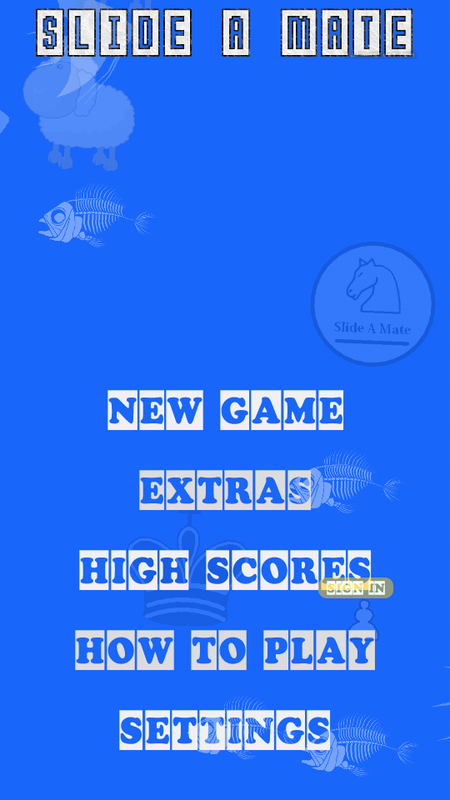 Slide A Mate is available is out now on Google Play. There are 10 free levels, and many others of varying degrees of difficulty, available as In-App Purchases. Still unsure how to play? Here is a little YouTube video tutorial. If you are stuck on any level free free to drop me a line in the Grafixator Facebook page.